Vic and Annie Bartholetti (back row) with Operation Mend patient Michael Lammey, a retired U.S. Navy Petty Officer (third from left), his wife Rose (front center) and their three daughters in 2016. When supporting a nonprofit organization, some people write checks and others volunteer their time. And some, like Annie and Vic Bartholetti, open their home -- and their hearts. 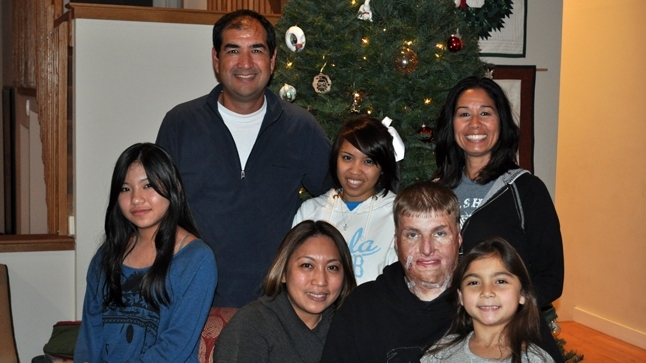 Since 2011, the Los Angeles attorneys have volunteered as a host family, or Buddy Family for wounded military veterans who receive health care through UCLA Health’s Operation Mend, a program that offers surgical, medical and psychological care at UCLA at no cost to patients. Patients come from all over the country and stay at UCLA’s Tiverton House hotel. In between surgeries, treatments and appointments the patients often have downtime, during which Buddy Families fulfill the patient’s non-medical needs. Q: What is your role as a Buddy Family? Annie: We offer respite when patients and families are in town for stretches of time. It gives them a chance to step away from the medical part and do fun, touristy things. Vic: We ask them, ‘What can we do for you that will make your life easier’? Can we bring you food? Do want to come over and watch TV? Go to Universal City Walk? Anything you want, we want to help. Q: What are some of the injuries the Operation Mend patients have sustained? Annie: Some patients are severely disfigured or burned from wounds incurred from a blast or they may have physical limitations such as a missing limb. Those being treated for post-traumatic stress disorder or traumatic brain injuries suffer from invisible wounds that can be triggered by things like a loud noise. Q: What has it been like getting to know the service members? Annie: Prior to Operation Mend, I volunteered for a nonprofit that sent care packages to the troops. But this is our first experience actually meeting service members. We learn about what it was like to be in the military since neither of us served. We learn how people deal with adversity with grace. Vic: They were wounded while giving service to our country. It really puts into perspective our own worries and problems. Q: How do you prepare when meeting a patient for the first time? Vic: Due to patient confidentiality rules, we are only given basic information that can help us in our role as a Buddy Family. We learn a little bit about the patient’s injury, who is accompanying them-whether it’s a spouse, a parent or a friend and any children. We learn what foods they like and what their interests are. Annie: Operation Mend really embraces the whole family. The caregivers are very important and need respite too. Sometimes, we’ll spend time just with the caregiver when the patient is at an appointment. Or, we’ll watch their children so the adults can have some quiet time. Q: How did you decide to join the Buddy Family program? Annie: I was watching Oprah Winfrey one day and she was talking about volunteering locally. I went on the Internet and came across Operation Mend. We interviewed and went through training. I could go on for days about Operation Mend. It is an amazing program and we are proud to be a part of it. Since 2007, UCLA Operation Mend has provided advanced surgical and medical treatment as well as comprehensive psychological support for post 9/11 service members, veterans and their families. 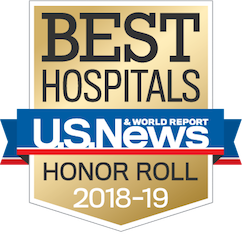 In 2016, the program expanded to offer an intensive, six-week outpatient treatment program for PTSD and TBI as part of a first-of-its-kind partnership between Wounded Warrior Project® and three other academic medical centers, including Emory Healthcare, Massachusetts General Hospital and Rush University Medical Center, in cooperation with the U.S. Department of Veterans Affairs. Really nice and informative article! Do you need individual or family health insurance? Compare best health insurance now to save your time and Money with Mawazna.com.